An intimate evening of five-star variety from London’s cabaret trailblazers and award-winners heads to The Old Market this Valentine’s Day. Inspired by Montmartre in its heyday, this is a chance to see some of the finest performers on the international circuit dig a little deeper into their repertoire. It’ll be an evening of surprises, superior showmanship, live music, comic song and elegant burlesque, all in a beautiful environment. 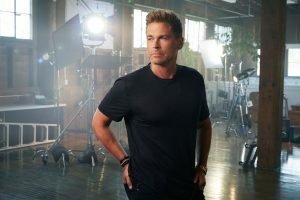 After a sell-out US run, Rob Lowe brings his one-man show to Britain. Inspired by the success of his best-selling memoirs, Stories I Only Tell My Friends and Love Life, he’s created an honest and hilarious look at Hollywood, fame, fatherhood, and marriage. From the Brat Pack to The West Wing to Parks and Rec and beyond, this show is packed with witty fun and unique insights spanning an iconic career. The daughter of a Jamaican father and Irish mother, various people’s expectations of Brown have always made her feel like an outsider – so she examines what it means to be true to yourself. 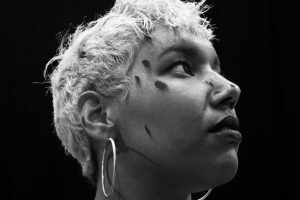 Blending live vocal looping and spoken word, this compelling show carefully considers the concept of mixed-race privilege, tries to connect clashing cultures and explores what it means to grow up mixed in contemporary Britain. The award-winning ITV show gets a dramatic make-over in this hilarious new production. After a decade of following a hapless crew of holiday makers and staff, these Alicante escapades swap sangria for the stage, bringing back so its various connotations in our contemporary life. HANCOCK’S HALF HOUR, Thurs 7 Feb, Theatre Royal Brighton: From the producers of the critically acclaimed tours of Round the Horne and The Goon Show comes another radio comedy classic live on stage. ELMER THE PATCHWORK ELEPHANT, Weds 12 – Thurs 13 Feb, Theatre Royal: A celebration of individuality, based on the 30 year old classic children’s books by David McKee. THE LANGUAGE ARCHIVE Fri 15 – Sat 23 Feb, New Venture Theatre: George is a brilliant linguist, but at home, he struggles to find the words that will save his disintegrating marriage. HELLO/GOODBYE, Tues 19 – Sat 23 Feb, Brighton Little Theatre: This chic, fast moving and extremely funny play, also serves as a modern metropolitan guide to falling in (and out) of love.